Offer iFramer tool allows you to iFrame the direct offer page entirely so it will look like the advertiser landing page is yours, showing your own URL address in the user's browser. Use your own link to drive traffic to the original offer page. 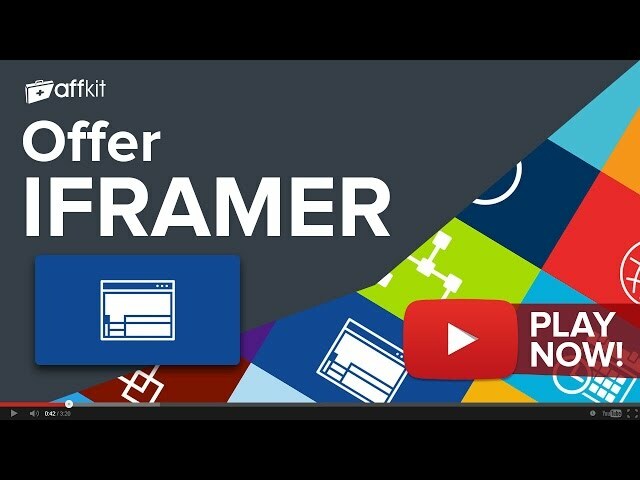 Offer iframer comes free with your AffKit membership. Sign up now to have full access to Offer iframer and another 20 must use tools. If you're already a member you can Log in now or Sign Up to get access.